When we were kids, there was no such thing as genres. We’d go to the newsagent, and we’d think nothing of buying a copy of NME at the same time as Raw and Kerrang and most probably Uncut and Mojo too when we got a bit older. That’s something I have tried to carry on in my adult life, to this website. That, actually, is why MV has the name it does – so that I could put a metal album next to a country one, and a punk one next to a folk one, and no one could question it. 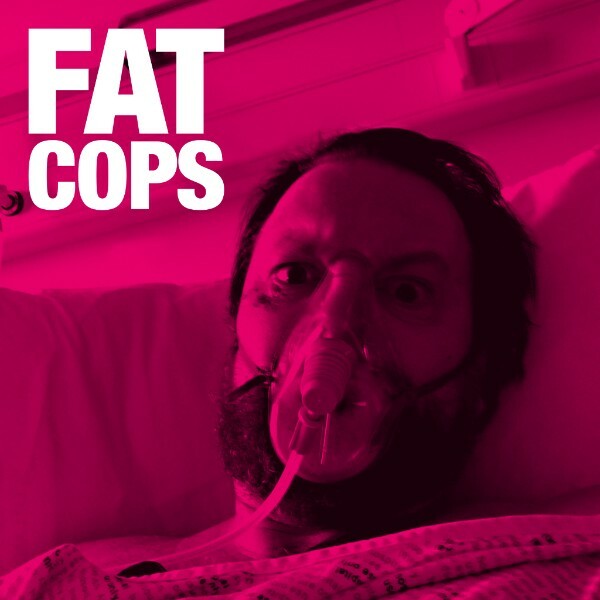 Fat Cops, I imagine, would approve of such a stance, because their debut album basically sounds like the sort of compilation you can imagine being on the front cover of NME in about 1993. With the added caveat that this is all one band. And that’s where this gets really interesting, Because, their singer Chris Deerin happens to be the Director of Reform Scotland and one of Scotland’s leading journalists (which means I am under pressure here, frankly, because writing this website and columns for When Saturday Comes is not in that league), their guitarist Robert Hodgens was in The Bluebells (and just for good measure has played with Brian Wilson, Bananarama, Sinead O’Connor, Ian McCulloch, Texas and loads more) and whilst I could go on, I will just tell you that their drummer is Al Murray (yep, that Al Murray), and they’ve got Norman Blake of Teenage Fanclub on a track too. The whole Fat Cops thing, though, was mostly down to bass player Chris Ayre getting his Aunt’s Rickenbacker when she died. Maggie Gulliver had been in Scottish band The Wee Besoms and Ayre decided to capture some of that spirit in a new project. Which leads us right back to where we started. Because I am here to tell you that “Fat Cops” is totally unlike any record you will here elsewhere any time soon. There is something of the metronomic about opener “Hot Tub” – and its ludicrous. Goodness me, it is ludicrous, but just try to resist its charms. Try and resist any song that actually has the line “fun in the bubbles, now I am in trouble” over some “Sympathy For The Devil” style “wooo-wooing”. You can’t. Or you shouldn’t, anyway. “Drink All The Drink” has a keyboard riff from Neil Murray which takes me back to 1980s Top Of The Pops’, when I pretended I was really there to watch Iron Maiden but secretly loved “West End Girls” too. It’s the simplicity of this that is so damn perfect. “Shouldn’t Really” kicks in with a chunky guitar riff, it’s not quite “Born To Be Wild” but it’s not far off, as if to say all bets are truly off. “Hands Up, Get Down” (the one with Norman Blake on) is a dancey thing, catchy as the flu, which also has a bluesy flavour akin to the Alabama 3, but when these boys woke up this morning they had more ideas than that. Ideas like “I Love Girls (He Loves Girls)” which is part organ riff and the soundtrack to a b-movie, and the even better Primal Scream-ish “Dehydrated”, with its loose-limbed lead stomp, and which might well be the best thing here. There’s a cover too, of the Wee Besoms “Good Looking” – rightly so given the genesis of the idea, and there is a post punk thing going through “My Saving Grace” which, like everything else here, you can sing by the time the second chorus hits – which to be fair is genius songwriting. “Fat City” is yet another left turn on a collection full of them. A lush, string laden ballad taking on the impersonal nature of the modern world, while there’s still time for “Voodoo Nightstick”, which, and I can’t think of a better way of putting this, doesn’t half have a hint of those Nik Kershaw records I had as a boy, before moving into some proper psychedelic stuff. It shouldn’t work. It does though. But then, that’s kind of the point. This record is one that isn’t supposed to sound like what is out there now. It is meant to be different, a little dangerous even and possibly a bit silly. You’re either going to love it like I do or hate it. There will be no in-between, but Fat Cops had fun making it and that shines through.